PCN Flight West: NEA/DL Capt. Ronald B. Appel Jr.
NEA/DL Capt. Ronald B. Appel Jr.
NEA/DL Capt. 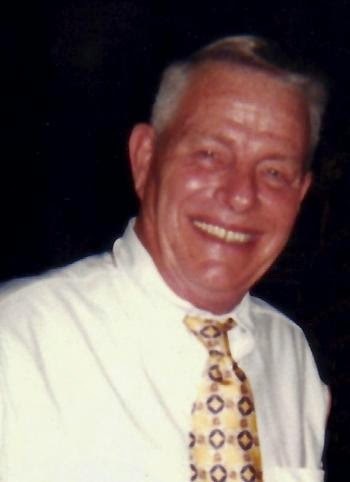 Ronald Beams Appel Jr.
Ronald Appel Jr., 80, of Boothbay died peacefully at home July 9, 2014 after a long period of failing health. Born in Staten Island, N.Y., Ron was the eldest son of Virginia Emde and Ronald Appel Sr. Growing up he attended the Hill School in Pottstown, Pa. and Trinity Pawling, Pawling, N.Y.
After attending the University of Maine, Ron was selected for the Air Force Cadet program. Upon completion he returned to Maine as part of the 132nd Fighter Interceptor Squadron in Bangor. Ron was very proud that in 1974 his 101st Wing won first place in the “William Tell” aerial weapons competition at Tindal AFB in Florida, making the wing “Top Gun” of the Guard while also beating all the Air Force teams. He retired as a Lt. Colonel in 1976. Simultaneously, while living in the north shore Boston area, he flew with Northeast Airlines (Yellowbirds) and then Delta Airlines, upon their merger. Ron flew commercially for 35 great years, logging a total of over 30,000 hours of flight time — over four years in the air! In 1977, he and his surviving wife, Estelle, moved to Boothbay and built the home where he flew to retirement and lived out his life. Ron excelled in many areas. He was an extremely accomplished pianist and talented in sports, especially tennis and hockey. He especially loved his ski trips to Sugarloaf. His hobbies included building museum quality models, collecting miniature electric train sets, and cultivating bonsai. But, most of all, he loved a good party with lots of food, drink, and great jazz to share with his family and friends. He was quick with a joke and a smile and loved a good story. He is survived by his wife of 58 years, Estelle Townsend Appel; a daughter, Judith White of Dublin, Ga., a son, Richard and his wife Betsy of Hampton, N.H.; a brother, Jon and his wife Dawn of Yorba Linda, Calif., and their family; grandchildren, Caroline Remley, Leila, Elizabeth and Richard Appel; and great-grandson, Kievan Jones. The family will host a celebration of life on a date to be determined.